On 23 August 1962 John Lennon married Cynthia Powell at the Mount Pleasant register office in Liverpool. Brian Epstein was the best man, and George Harrison and Paul McCartney were also in attendance. Absent was John's aunt Mimi, who disapproved of the union, although Cynthia's half brother and his wife were there. As soon as the ceremony began, a pneumatic drill outside the building opposite drowned out all that was said; when the registrar asked for the groom to step forward, Harrison did, which only added to the farce. At Epstein's expense, they celebrated afterwards at Reece's restaurant in Clayton Square, eating a set menu of soup, chicken and trifle. Reece's was where John's parents Alf and Julia had celebrated their own wedding in 1938. On their wedding night John played a show with The Beatles at the Riverpark Ballroom in Chester. John and Cynthia met in 1957 while both were students at Liverpool Art College, and began a relationship the following year. In mid-1962 she discovered she was pregnant – the pair had never used contraception. 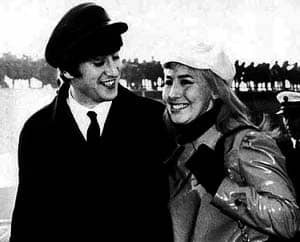 John's reaction when she told him was: "There's only one thing for it Cyn – we'll have to get married". Brian Epstein thought fans of The Beatles might feel alienated to know one of them was married, and so the Lennons kept the wedding a secret. Epstein allowed John and Cynthia to live at his flat at 36 Falkner Street free of charge, where they stayed until the birth of Julian Lennon in April 1963. Thereafter they effectively moved into Mendips with John's aunt Mimi, although by that time John was spending much of his time in London with the band. I have read many places that Brian Epstein was John’s best man, but I also found a photo of their marriage license and it has Paul McCartney’s signature on it as one of the witnesses. If you want I can email you the photo. I’d be really grateful if you could email me the photo you have of John Lennon and Cynthia’s wedding. I work for a charity and this will help us raise funds. Cynthia Powell was too beautiful, it was not john Ono, Ono was a very ugly. Ive always found Cynthia to be extremely ugly. Who cares if Ono is considered physically beautiful or not? 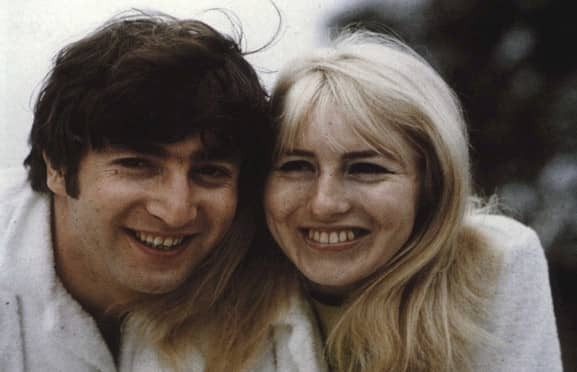 John loved her and she made JOHN happy. She brought him peace. And in her he found true love. Isn’t THAT what really matters? If you’re a true fan of Lennon you will understand this. His message was one of peace, love, acceptance, non-judgment, equality, and understanding. If you are biased towards Ono because of her looks you really have no business being a Lennon fan. Does anyone know the address of the former register office on Mt Pleasant in Liverpool where John got married?